John chairs RatnerPrestia’s Trademark Practice Group. He helps clients select, establish, enforce, and prosper from their all-important brands. Your brand is essential. It’s the face of your business, distinguishes your goods and services from others in the marketplace, and identifies your business as the source of your products and services. You need to take care when adopting a mark to make sure it will not only distinguish your goods and services from others’, but also not step on the toes of someone else’s established trademark rights. Once you’ve selected a mark, it is important to use it properly and police misuse to establish your rights and develop brand equity. With an established brand, it is crucial that you prevent others from infringing or otherwise interfering with your mark in a way that would erode your rights. Then, coupled with your fantastic products and services, you’ll have strong brand equity. A valuable asset that can lead to licensing and other opportunities. Since 1998, John’s practice has focused on all aspects of domestic and international trademark prosecution and use, including clearance, registration, enforcement, transfer and licensing of trademarks. He has extensive experience aiding clients with the acquisition and maintenance of trademark registrations and, over the course of his career, has been responsible for literally thousands of trademark applications and registrations. He represents clients in connection with oppositions, cancellations and appeals before the USPTO Trademark Trial & Appeal Board; domain name disputes; and negotiation of assignment, licensing, and coexistence agreements. 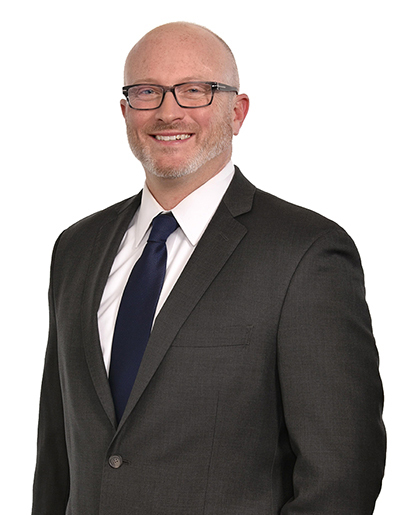 John counsels clients regarding trademark availability and use; designs and implements strategies for policing trademark rights; and conducts due diligence investigations into the validity and ownership of marks. He also manages trademark portfolios and intellectual property disputes abroad. Simply put, John’s wide range of trademark experience allows for a thorough perspective when counseling clients, whether he is addressing a minor issue relating to a single application or providing guidance for strategic decisions governing an entire international trademark portfolio. John is a long time active member of the International Trademark Association. He currently serves on the Journalist and General Public subcommittee of INTA’s Public Information Committee, previously chaired the U.S. Model State Trademark Bill subcommittee of INTA’s Legislation and Regulation committee, and has served on different INTA publication committees. John has been a contributor to World Trademark Law Reports and was a featured panelist in the inaugural issue of World Trademark Review. Most recently, John McGlynn was a 2016 winner of the Client’s Choice Award.